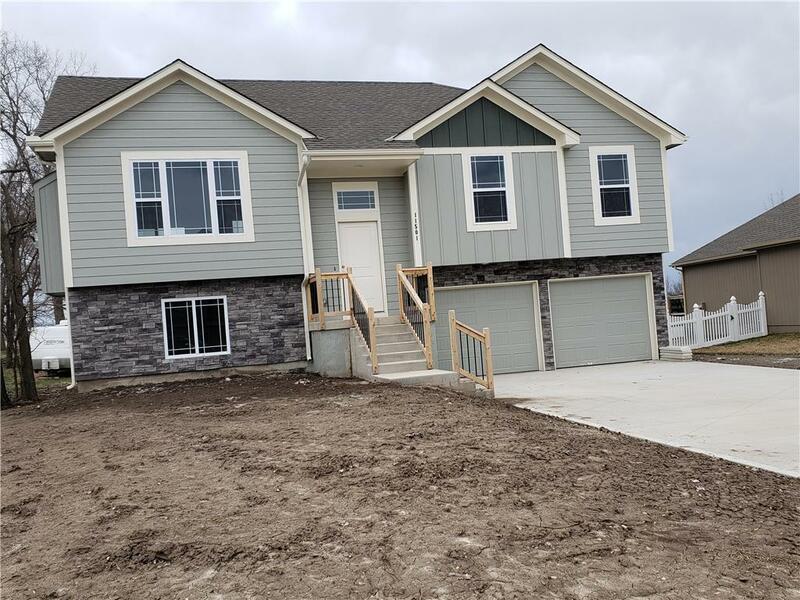 AWESOME 4 BED 3 BATH SPLITNEW Peculiar Way Exit Ramp#168 Split Level Tons of kitchen cabinets with granite counter tops hardwood floors in this spacious home. You will want to put this home on your must see list?? Also has deck with steps off of porch. Tile on bathroom floors. Another amazing floor plan by True Vision Construction.